It's time to explore our inner Daffy Duck! Woo-woo-hoo-woo-hoo-woo-hoo! It's time to get nuts! 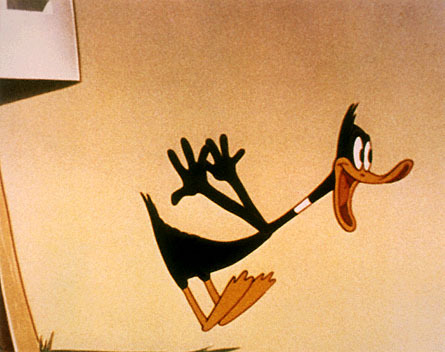 Daffy was funnier in the 40s when he was completely batsh** crazy! Nuts are one of those awesome ingredients that somehow get overlooked a whole heckuvalot. We snack on them once in a while, eat butterized forms of them on bread and watch our friends cradle their Epi-pens should they be allergic and in the vicinity of them. But what is the real value of nuts? Well, nutritionally they're supposed to be rather good for you. They're full of protein and vitamins, making them an ideal meat replacement in most meals. But, they also can be a good ingredient in everyday cooking. One of the more obvious examples where nuts are used to provide body and flavour is in pesto. Pesto is usually made using basil and pine nuts, but due to the prohibitive cost of pine nuts and their penchant to go stale fairly quickly, they aren't always the most logical of ingredients. Many basil pesto recipes I've seen specifically permit the omission of pine nuts. Me, I figured I'd not even bother in the first place and use a cheaper (and maybe healthier?) alternative using almonds. And, to give it a much different, zingier flavour profile, I say let's go with cilantro instead of basil! Turns out, after some Internet research, that this isn't a terribly original idea, but what in cooking really is? It's still tasty, goldarnit! - Combine all ingredients except oil together in a food processor. - Pulse together adding a little bit of oil at a time, until all ingredients are well combined into a chunky paste. This is one of those highly functional recipes that can be used in many different ways. You can mix the pesto with other ingredients to make a tasty pasta dish, you can spread it on bread for a sandwich topping, you could even cobble together a salad dressing with the pesto as a base. It's also similar to chimichurri, which is an Argentine form of pesto used as a topping on steak. So, this is just one example of how to get nutty with your food. I'll be back soon with a post on using nuts as a meat substitute. Stay tuned! In a tip of the hat to the original "bachelor cook" concept upon which this blog was founded, I'd like to take a look at what has been an essential ingredient to my own cooking since the mid-90s: BEER! As I've discussed on numerous occasions in these "pages", beer has come into its own in recent years as more than just fuel for frat parties and football watching, with brewpubs like Mill Street who make their own beer and cook with it, and beer-themed restaurants like Brothers Beer Bistro that treat beer with the same respect as other "high end" restos treat wine. But when it comes right down to it, my most primal memory of cooking with beer is standing over a frying pan with a piece of meat, pouring a bit of suds in the pan to add flavour and de-glaze. Heck, even when making a stir-fry I'd usually use beer as the cooking liquid/marinade (as seen in this archaic "Dude, Cook!" post). And of course, no chili is worth making unless it has a good whack of beer in it. With the current resurgence of craft brewing in Canada, the ubiquitous so-called Pilsners (Blue, Canadian, etc.) are no longer the norm and there's all manner of different beers out there with unique flavour profiles. As a result, I like to try cooking with some of these more uncommonly flavoured beers. Luckily, one can find all kinds of wonderfully quirky beers if one looks hard enough. It just so happens that, during wicked good times had at the Festibière de la Gatineau this past Summer, I learned of a speciality beer store deep in the heart of Gatineau called "Broue-ha-ha" ("broue" being French for, um, brew). It sells all kinds of Quebec microbrews and on my birthday I decided to ride out and pick up all kinds of different beers, one of which was Route des épices, which I'd had the pleasure of trying out back in February at Pain Béni in Quebec City. I figured the spicy, rich and peppery quality of the beer would make it fun to cook with, but I still needed to figure out what to make! Well, luckily, inspiration abounds all the time in this wondrous life we all live. In this case, the fun play of the old Quebecer classic "Hot Chicken" that Kari enjoyed in rabbit form at Joe Beef a month earlier fit the bill perfectly. At first I was thinking I'd mostly follow the standard procedure, using chicken (albeit smoked) and toast and gravy. Ah, but I'd make the gravy using the skin and fat of the chicken, AND the beer! Beer gravy! Totally great idea! So, with that in mind, it was off to the butcher! And, of course, as soon as I walked in the door, my fickle mind sensed something even more interesting than chicken. There, quacking out to me, was a lovely duck breast, begging to be smoked. So, it was settled. I would brine and smoke the duck, but instead of searing the duck skin as per the "rules" of cooking duck, I'd trim the fat and skin off the meat before smoking it and use them as the base of my gravy. With the duck happily brining, I had to come up with other ingredients to round out this happy meal. The "Hot Duck" would be served over toast and topped with peas and gravy as per normal, but I couldn't just eat that. It needed a side to go with it. Well, traditionally "Hot Chicken" comes with fries, so why mess with tradition? Of course in my case, I'd make sweet potato fries and since I was going with a 'cooking with beer' theme and happened to notice bottles of Beau's Night-Märzen Oktoberfest Lager at the LCBO, I figured I'd whip up some sort of dipping sauce for the fries using the Night-Märzen. I also happened on a shop selling Irish cheddar, so it all pretty much came together quite naturally. The all-important liquid ingredients in today's feast. So, with recipes in brain and ingredients in hand, it was time to cook this mess of tasty up! WARNING: There is nothing healthy about this. Except maybe the peas. - Trim the skin and fat off the duck breast and set aside in a ziploc in the fridge before brining. If I wasn't using the skin and fat for the gravy, I'd keep them on the duck to help retain moisture while smoking, but in this case the gravy is as much a centrepiece of the dish as the meat itself. - Whisk all ingredients together in a non-reactive container, ensuring salt and sugar are completely dissolved. Submerge duck breast into brine and ensure it stays submerged by covering with a small plate or other weight. Brine for around 12 hours. - Once you remove the duck breast from the brine, rinse well in cold water and pat dry. Brining does discolour the meat a little, but it'll look fine once smoked. The little pink area here is a spot where air got trapped under the plate, so that small patch didn't soak in the brine. Duck doesn't need a whole lot of smoking time, about 3-4 hours at 225-250 degrees Fahrenheit. I'd read quite a few posts complaining about how the exterior of the meat dries out too quickly when smoking, but I found that was not a problem after I wrapped the meat in foil for the final hour of smoking. ﻿Now, while duck breast is generally supposed to be served medium-rare, with the middle being a deep purple colour, in this case the smoking process cooks the meat right through and since we're smothering it in gravy, the meat can be a little less rare and tender. Keep the duck breast warm by wrapping in foil and keeping in a 200 degree F oven while making/finishing the gravy. - In a saucepan, melt butter and sauté mushrooms, garlic and onions for 10 minutes at medium-high heat. - In another saucepan, render duck fat and skin on medium heat. - Once fat has rendered, transfer mushrooms, garlic and onions into the duck fat. Before doing this, you might want to remove the cooked bits of skin. They get kind of chewy and don't really add anything to the gravy. I didn't do this and it didn't bother me, so it's up to you. - Add beer and seasonings and cook down at medium heat for about 10-15 minutes. - Combine corn starch and water to make a roux (thickener). - Whisk in roux, stirring constantly and cook for another 10 minutes. - Add maple syrup and molasses and cook for another 5 minutes. Remove from heat. Bubblin' its way to tasty. It was after adding the roux that I made an important discovery about cooking with strong, hops-forward beer: that stuff can be really bitter! My gravy, which I'd expected to be rich and delicious, was almost unpalatably bitter. So, what to do? Well, sweet is usually a counter to bitter, so to the Sweetener-mobile! I decided on the spot to add a good whack of maple syrup, which countered the bitterness well, but the gravy needed an extra push over the cliff, so I threw in molasses as well. This resulted in a sweeter-than-expected gravy, but how would it taste once I put it all together? We'll see! - In the last 10 minutes of making gravy, toast two slices of dark rye/pumpernickel bread to desired toastiness. - Steam 1 cup frozen peas in 1/2 cup boiling water for 4-5 minutes and drain. - Slice duck breast into about 1/3 cm thick pieces. - Using two dinner plates, place a piece of toast on each plate. Ready for a gravy bath! - Next, ladle gravy over the toast and duck. Be generous. - Finally, top with peas and serve! So, how was it? Well, kinda delicious! The duck was succulent and tender and is really freakin' good smoked! The gravy was a little more bitter than I'd have liked, but that was balanced by the maple and molasses to make all the flavours combine well, with a nice earthy undertone from the mushrooms. The peas added a fun crunch and burst of something resembling nutrition. In the end, the addition of sweetness in the gravy actually made it better! As with most smoked meats, like ribs, a sweet sauce is a good counterbalance to the smoky/salty meat flavour. However, the beer choice was a bit of a dud. Next time, I'll use a much less hoppy beer. Maybe a mild stout? - Rinse the potatoes in water and dry well. The Internet suggested I try coating them in corn starch to help make them crispy, but really, that was an unnecessary step. - Spread sweet potatoes on a baking sheet and bake for 15 minutes, turning halfway through. - Mix all ingredients together and bake in oven-proof dish at 400 degrees Fahrenheit for about 8-10 minutes or until top is golden and bubbly. In the case of the dip, the bitter flavour of the beer was a bit more subdued, but also worked really well with the sharpness of the cheddar and creaminess of the mayo. The fries were meh-ish, but really, what are fries but simply a vehicle for some sort of saucy, tasty goodness? ﻿﻿﻿﻿﻿﻿﻿﻿﻿﻿And there you have it, my experiment in cooking with more interesting beers. The end result wasn't quite what I was expecting, but it taught me some culinary adaptation skills and a lesson in ingredient selection. In this case, just because you love to drink a certain beer, doesn't mean it'll be the best for cooking. Til next time, stay tasty San Diego! As seen in my first post on autumnal porcine indulgences, it's not hard to use pork in making some of the most tasty and comforting foodstuffs you might ever try. Last time we forgoed (forwent?) the oven in favour of the slow cooker. Today, it's all about the oven. Our first foray will be into the traditional realm of the stew. Making stew isn't really all that complicated. You take a lot of tasty ingredients and cut 'em up, throw 'em in a pot, and cook that sumbitch down until it's thick, rich and delicious. It was a cold night and I wanted to really get into all the flavours I love in the Fall and somehow get them all in a pot together. I wanted pork, apples, parsnips, carrots and potatoes to come together in a hearty bowlful of good that would make my life full of happy. After picking up a nice pork chop at my local butcher, I mosied over to the fruit and vegetable purveyor to get the rest of what I needed for the stew. Whilst I was there, I noticed a whole bunch of fennel bulbs that called out to me "uuuuuuuuse us in your steeeeeeeeeeeeew!" (because somehow fennel is haunted). So I bought one. Having never used fennel before, I wasn't sure what the heck to do with it, but luckily the ever-cheerful part-owner of Byward Fruit Market (Myriam?) was able to give me the skinny on how to use a fennel bulb. For my purposes, I decided to use the stalks and fronds. The stalks look pretty much like celery once you slice them up. And the licoricy (is that a word?) flavour fennel imparts actually worked quite well in this case, which is good, because I was a smidge worried I was about to ruin a perfectly good stew. So, without further ado, here's the recipe! - Coat pork in flour, shaking off excess flour. - Brown meat and sauté onions and garlic on medium-high for about 5-6 minutes. - Stir in the rest of the ingredients, except the lemon juice, and cook on medium-low heat for about 45 minutes, until stew starts to thicken. - Stir in lemon juice and cook for another 10 minutes or so. - Serve garnished with fennel fronds. The verdict? A really interesting and comforting mix of flavours. The sweetness of the apple blended well with the more unique flavours of the fennel and parsnip, with the beer and pork adding a nice rich depth to the stew. This is perfect "eat with a hunk of bread after raking the leaves" kind of food. Our next examination will be dirt simple, but it's one of the best foods around! You know and love their messy goodness. Give it up for rrrrrrrrrriiiiiibs!!!!! To be honest, baking your ribs is actually a much easier way to get super-tender, fall off the bone ribs than smoking. The moisture stays in much better and it's a damned site less effort. That being said, I will continue to stand by the virtues of smoker-over-oven for one reason, the most important reason: they taste better smoked. But the comparative ease can't be ignored. The process is almost identical to smoking ribs, as per the last post on the subject.... First you brine the ribs. In this case, since I was using regular pork instead of wild boar, I made a different brine. Grind all ingredients into powder, mix with sugar and generously rub on meat. Store ribs in the fridge overnight wrapped in plastic. Next day, remove from the fridge when ready to bake. To bake the ribs, wrap them in foil and bake in a baking dish at 225 F for 4-5 hours. Remove foil and bake for another hour or so. Finally, about 10 minutes before serving, turn oven to broil, baste ribs with whatever BBQ sauce you like (I cheated and used store-bought) and broil until sauce is slightly caramelized. So fall-off-the-bone tender that the cornbread is keeping it together! Now, the result were fork-tender ribs (most tender I've ever made!) that tasted really good, but were missing that smoky flavour that is my life's blood. But all things considered, the convenience, ease, and warmth kind of make it a worthwhile way to cook ribs in colder times. And there you have it, just a few ways you can take nature's most versatile meat and make it fit the season. Sometimes a night out at a restaurant becomes more than just good meal, sometimes it's a divine experience. The right combination of food, service, decor and company can make a lifelong memory. The meal I had on September 15, 2012 at Joe Beef in Montreal's Little Burgundy definitely qualifies. Once we were in Montreal and it was close to dinner time, we walked up Rue Notre-Dame to the resto, taking in the cozy charm of the neighbourhood. Now, considering the reputation of the place, I kind of expected a bit more flash, but it was rather subdued in outside and interior decor. Well, the five seconds we saw of the interior before being sat on the terrasse. Now then, whilst the interior was somewhat understated (lots of lovely wooden accents everywhere, but also quite snug and dimly-lit), the terrasse was perhaps one of the loveliest urban outdoor locales I've ever had the pleasure of seeing (and dining at). We had the fortune of being seated right at the end, next to the herb garden. Yup, they grow their own stuff at Joe Beef. As you'll see below, they had herbs a-plenty, but there were also cabbages and zucchini and all manner of veggie goodness growing behind where I was sitting. There was also a smoker (behind Kari's arm in the photo) that was in use, so the entire patio area smelled of smoke, herbs and rainbows (rainbows have a smell, right?). The view whilst we dined. All those plants are ingredients used by the kitchen. Needless to say, we were already in a great mood thanks to the natural splendour of the place, but what came next was far more exciting: THE MENU! Now, most high-end restaurants these days (and maybe since always, but I haven't been eating in high-end joints for very long) don't have a fixed menu. They either print by the day/week or have the server read it out or whatever. Something that seems to be all the rage is the "blackboard menu", which makes sense to me. It gives an opportunity to constantly keep things interesting and keep customers coming back to try new things. It also gives people the chance to keep looking and thinking what they might get later, appetites permitting, or on their next visit, if they're lucky enough to have that same menu item available. Either way, the restaurant keeps the customers coming in. In the case of Joe Beef, their menu was kind of mind-blowing. It was quite difficult to figure out what to pick. If you take the time to magnify the pic below, make sure you get a good look at all the offerings. It was REALLY hard to pick just one entree and one main dish. I have to admit, I got kind of stuck figuring out what to order without some guidance from our server (whose name escapes a month after the fact... d'oh). At least for the entree part. The main was a no-brainer in my case, but more on that later. My 1st plate - Terrine de foie "bone-in"
The verdict? Wow, just wow... The flavour of this dish instantly brought me back to childhood memories of my grandmaman's paté de foie gras, even though this was all pork (I think) while hers was either goose or, more often, chicken liver. The dish was also topped with a lovely assortment of pickled veggies that gave the whole thing a nice crunch and tang to offset the rich, velvety texture of the terrine, a richness that was doubly accentuated by the use of marrow. The bread was also quite tasty, but its main function was as meat vehicle. All in all, it was freakin' delicious. As for Kari, she went for one of her favourites, gnocchi. In this case, it was a ricotta gnocchi served with pig skin and pecorino cheese. I can't speak too much to the dish as I only had one bite (needed to save room for terrine goodness! ), but I remember the tomato sauce was bright and fresh (they probably picked the tomatoes from their garden that morning!) and the pig skin had this chewiness that could have easily been off-putting, yet I found it fascinating and complex. Of course with our first dishes came the wine! We went with a simple Burgundy red since there was a lot of meat in play and the food was far too rich for white. It was a delicious bottle of wine and really went well with all the food. So, kudos to our server (Justin or Julien maybe?) for picking a perfect accompaniment for 15 bucks less than my wine budget limit! A lovely bottle of red to go with dinner. As we ate and drank and soaked in the awesomeness, the sunset decided to come along to provide the evening's visual entertainment! So, moving right along, it was time for the mains! Kari's main: Pojarski de lapin "Hot et délicieux"
And now we come to one of the most decadent, rich, insane plates I've ever had the pleasure of not being able to finish. Ladies and gentlemen, I give you Deer Belly. Yup, roll that factoid around your noodle. Deer. Belly. ﻿﻿﻿﻿﻿﻿﻿As you may know, bacon comes from pork belly. That is the only time I've heard of an animal's"belly" meat being used in cooking (well, Haggis involves a sheep's stomach, but I think there's a difference between stomach and belly when it comes to butchery and cooking). I've had duck and lamb bacon, so they probably used the belly meat and I just discovered that "beef belly" is more commonly known as brisket! (thanks Interwebz!). But DEER Belly?!?!?!? Who'd a thunk it! Well, the crazies in the Joe Beef kitchen, that's who! (either Chef David McMillan or Chef Frédéric Morin, I guess). Needless to say, I HAD to try that shizz out! Oh and as you might have seen from the menu picture, it came topped with escargots. Of course! In fact, it also was served with lovely Chanterelle mushrooms, cauliflower, jus, some kind of half-butter, half-potato mash. And then there were the pockets of garlic butter to round out the "bourguignone" style of the escargots. I peg this sucker well into the 4-digit calorie range. So how did it taste? Oh my God... the drool, must stop drooling on keyboard... It was one of the most uniquely decadent dishes I've ever had. The belly itself was likely roasted then seared, so it had this great little crust on it. The meat was just a little gamy, as deer should be, and probably the densest meat I've ever had; dense, but not tough. And the accompanying medley of flavours from the snails, garlic, mushrooms and cauliflower made it a once-in-a-lifetime sort of dish. It also made it incredibly filling. I tried as hard as I could, but I wasn't able to finish the last couple of bites. I felt foodie-shame, but at least I didn't rupture my tummy. ﻿Kari pretty much felt the same way I did by the end: So. Full. In the ﻿﻿﻿end, we wound up walking back to our hotel room and passing into respective food comas. Till next time, eat and cook better than you ever thought you could, because life's too short for crap food! It's that most wonderful time of the year: Fall! Now's the time when our ursine side takes over and we start padding our midriffs with richer fare in preparation for that long hibernation period which is coming up in a couple of months. Well, at least it's hibernatory for those folks who choose not to have fun in the snow... Wimps. All kidding aside, Fall cooking has got to me some of my favourite. No longer do I need to concern myself about the restrictions of heat and heaviness that makes eating rich food in the Summer time about as pleasant as punching yourself in the gut. It's also somehow a bit more acceptable to use the oven instead of the BBQ (not like the weather is that cold, but there's something pretty comforting in having the oven on for a few hours, warming up your home), while in Summer it's somehow blasphemous to NOT grill your food. In Summer, for me, it's all about smoked pork, whether it's Ribs, Pulled Pork or Bacon, whatever... all of these have been important culinary undertakings for the past 3 months (including making enough pulled pork to feed a festival, sort of...). 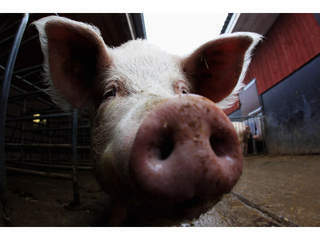 But now that I'm far less inclined to step outside (it's been raining A LOT this month), I'm looking for different ways to make use of pork and different ways to cook it, specifically indoors. So this and the next post will look at fun ways to make porky good times without having to step outside. One way that Kari's been egging me to re-familiarize myself with is the slow cooker. A slow cooker is basically an electric element that heats a large ceramic container in which you put food and let it cook for several hours. The idea is that a) it is less time consuming because you just prep everything in one go, throw it in the cooker before heading to work and it's ready at dinnertime, and b) it allows tough cuts of meat to break down and become super-tender over the 'low and slow' period of several hours without having to keep a fire going. So, I happened to have a hunk of heritage Berkshire pork shoulder sitting in the freezer (an impulse buy from the Farmer's Market) and I figured, even if it was the most expensive cut of pig I ever bought, it should go in the slow cooker and become something delicious. I was thinking something between a pulled pork and a stew, with a lot of wine and flavours that comfort the soul in cold weather (even though we were still in double digit weather at the time). Maybe I was jumping the gun, considering it was still technically Summer, but I figured it couldn't hurt to have a preview sampling of winter flavours. - Place all ingredients in slow cooker and cook on low for 6-8 hours. - Skim layer of fat from slow cooker every 2 hours or so. - Serve in a bowl with crusty bread. My slow cooker: soon to become one of my best friends! ﻿ The flavours came together into a stew reminiscent of Boeuf Bourguignon, which was the comforting, warming profile I was hoping for. Cook anything in enough wine and it'll be comforting! Served with a hunk of sourdough baguette and a cold beer, it was pretty much a slice of domestic heaven! Not so much on the "light" side, but tasty and comforting as all get out! Another serving application is to cook up some old-fashioned egg noodles (y'know, back before it was all called 'pasta') and serve the stew/ragu over top. So, we've already got one way of cooking up pork that doesn't involve the smoker or grill. Next we'll look at our friend the oven, using both the stovetop (stew) and the oven itself (RIBS!). 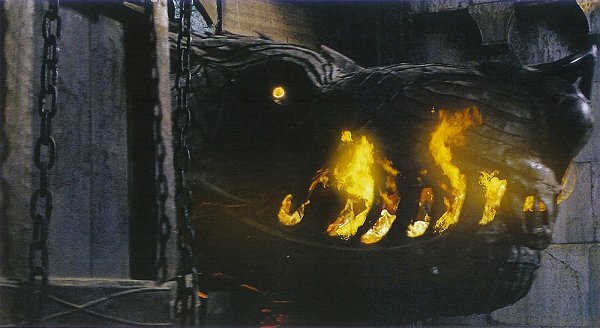 If my previous posts were the battering rams you see the Uruk-hai use in Two Towers, this post is Return of the King's muthafrakkin' GROND, b*tches! Scared yet? ﻿﻿﻿Nah? Well, ok. You will be. You. Will. Be. As I've said before, the burger has basically become a staple of the North American diet. And it's also become a canvas for complete over-the-top food experimentation. If you've ever seen Man vs. Food, you've seen just how crazy some places make their burgers. A 5000$ burger?!?!??! WTF LORD!???! Alright, before my 99% sentiments get the best of me, I'll just say that that's pretty effing crazy. And I totally want one RIGHT NOW!!!! But beyond the crazy (and really freakin' expensive) is something that is beyond obscene, beyond hedonism... It's an invitation to gastronomic suicide! Ladies and gentlemen, I give to you the Luther Burger. The Luther Burger is a really big patty (half a pound to a full pound of meat), fried up, covered in cheese, topped with bacon. 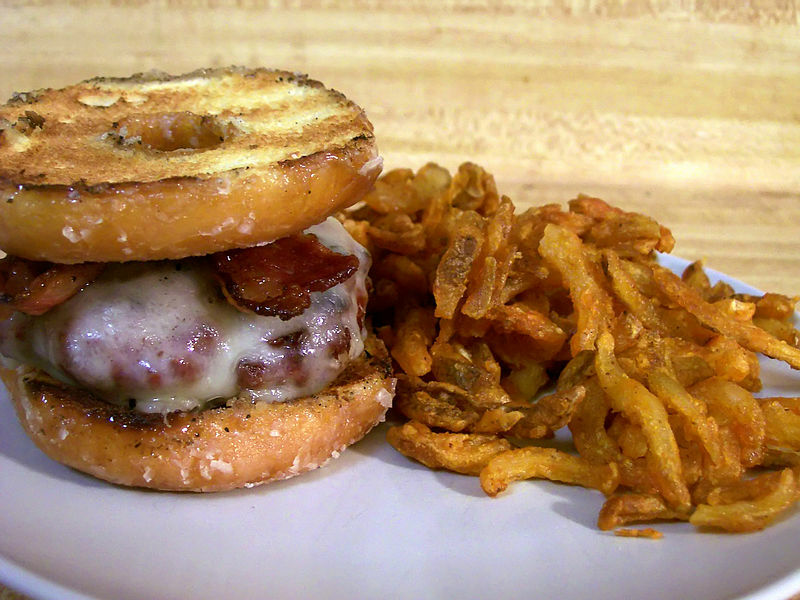 And then the crazy part happens: you sandwich all this between a glazed doughnut sliced in half, which you then fry up in the leftover burger grease. That's right, the bun is a doughnut. Enjoy the heart attack, kids! So, while leaving the Luther Burger to crazier cooks than I, I'd be a liar if I said I hadn't tried a little bit of burger craziness in my own right. It all stemmed from a facebook conversation I was having with a couple of friends a ways back about combining two kinds of meat in a single dish, not counting bacon, since bacon is a vegetable, and if it can ever work. Specifically, I think we were debating if beef and chicken can be combined in a single dish, other than a combination shawarma plate. So, I took up the challenge as part of the burger exploration I'd been engaging in at the time. I would make a beef burger topped with chicken. Now, it's me, so what else am I going to do but smoke me some meat? I've smoked chicken before and it's no different than most meats: rub with tastiness, smoke at 225-250 degrees for 3-4 hours (for the single chicken leg I used), and eat (or in this case, shred to become a burger topping). Here's how it went down in pictures after I'd smoked the chicken. I decided to go a little crazy and add grilled corn and creamed spinach to the whole thing. Kari whipped together a chipotle mayonnaise to top the burger and that was that! Needless to say, I was a very, VERY full boy after this epic dinner. I guess I need to give this burger a name... The Mooclucker? The Chickow Burger? Any suggestions? So, there it is, the end of our burger saga. Got any crazy burger concepts you want to share? Please leave a comment! I'd love to see how interesting one can make a beef patty and bun. I'm back, talkin' about burgers. Now, making burgers at home is easy enough (as hopefully demonstrated in Part 1), but who amongst us is likely to cook a burger when the marketplace abounds, fairly teems, with burger purveyors of all levels of taste and quality? But where to go? Well, there's always "Rotten Ronnie's", but as someone who once worked there (albeit when I was 15), I can safely say that if I never eat another McBurger again, that's just peachy by me! And that's not even considering that the McDonald's model has led to massive animal feedlots that foster e. coli tainted beef and rampant globalization of a product that is pretty much crap. Is it any surprise I'm not a fan? Yet oddly enough, I don't disparage all large fast food burger chains. I happen to have a craving for Wendy's burgers once in a while. Maybe it's because I could find these regulations: http://wiki.answers.com/Q/Where_does_wendy's_beef_come_from (not that this is free-range beef or anything, but at least they display some standards - I saw nothing for McD's). Either way, I just find Wendy's better made and better tasting. Might be because they use tomato, lettuce and mayo on their value menu Junior Burger... So, I stand firmly in the Wendy's camp of the "Big 3" burger chains. Being a Canadian, I have the added option of Harvey's and A&W. But to be honest, I find Harvey's burgers a bit oversalted and kinda rubbery, while A&W is something of a lesser version of Wendy's. So, I'm a Wendy's guy. But even then, I eat at fast food burger chains maybe twice a year. Let's be honest here: Would you rather eat at some giant conglomerate where the person cooking the burger couldn't give a flying fig about their product, or would you prefer to go where burgers are more of an art form and you can taste the love (or at least the like)? Well, to start off, if it was me, I'd switch #3 and #2 around. I've eaten at Chez Lucien in the Byward Market more than a few times, while I've only been to the Works three or four times. They each have a VERY different take on restauranteuring - Chez Lucien is clearly meant to be a "local" pub with a really good, yet specific, menu and food - and a slightly "insider" vibe, while The Works is there to cater to the Everyman (and the tourist) and provide any burger possibility you can imagine (somewhere in the neighbourhood of 75 different burgers). The Works is almost a bit overwhelming with its multiple burger choices, and in the end, while they're really freaking good, I found there was a twinge of dryness to the meat, and the restaurant's atmosphere has always made me feel a bit... unwelcome? Maybe I've just always gotten lousy servers... Also, Works is growing to become a chain with over a dozen or so locations in Ontario and other provinces. And you know what happens when you become a chain? Quality is the first victim. Maybe I'm too late and the Works' glory days are behind them... But they're worth checking out if only to have the experience of picking from all those different kinds of burgers. Chez Lucien provides a choice (amongst their beef burgers) of the Frieda and Diego Burger (jalapeno peppers, fried onions and Monterey Jack cheese), the Chez Lucien burger (cream cheese, bacon and mushrooms) and the Bourgeois burger (Brie cheese and pear slices). I haven't picked a favourite, they're all delicious. Another bonus is that the standard presentation comes with a fries/salad combo, and the fries come with mayo instead of ketchup. The whole thing has a nice upscale but unpretentious vibe to it. It's also great value for the plate, each one coming out at 11-12 dollars. They also provide a salmon burger and tofu burger, but who wants that?!?!? Next, we get to the champ: Hintonburger. Hintonburger is a bit of a case of striking while the iron is hot. Ottawa's Hintonburg neighbourhood is knee-deep in gentrification-y goodness, which means a lot of new restaurants have opened up, as well as a couple of "food shacks" (for lack of a better term). One of the leaders of this charge is Hintonburger, who originally opened up in a tiny little shack of a spot in 2010, before making enough dough to take over a former KFC location up the street. The little shack has since been taken over by SuzyQ Doughnuts, whom we'll discuss in a future post (a hint though: Maple Bacon Doughnuts). But the nostalgic aesthetic and service set-up of the original location must have had the hipsterrati popping coolness boners on their classic 3-speed bikes... Lord knows it created a lot of buzz and crowds. Me? I just like a good 'burg! It also helped that one of my friends works there and would occasionally put a bit of extra bacon on my burger... SHHHH!!! ﻿﻿The only real downside with the way Hintonburger present themselves, yet also part of their charm, is the wait. While you expect the service will be like a fast food joint or diner, it's a pretty lengthy process. On a busy evening, give yourself 20 minutes between ordering and actually having the grease-stained paper bag in hand. But it's totally worth it and you get to chat with your neighbours. Unless they've trucked in from outside the neighbourhood... which most probably have. And now, we wait... At least the company's pretty cool! Now, what I find sets the Hintonburger burger apart from most isn't the toppings, because they're pretty basic, and it isn't the bun which tends to disintegrate long before you're done eating. What really makes the difference is the MEAT! Hintonburger prides itself on using locally farmed beef, meaning it's a lot fresher than most and you can taste the difference. ﻿﻿﻿They also season and grill it perfectly: just salty enough, cooked through, no pink, but still juicy. So, that's it for this segment on burgers. Next time, we get to my favourite yet most frightening aspect of burgerdom: the crazy sh** people do to themselves via burger! In case you haven't already guessed, I get a pretty puffed chest when I make my own bacon from scratch, as described in this post. Now, as time goes on and I keep having fun with this specific form of curing/smoking, I find a need to stretch my creative wings and experiment a little with ingredients and flavours. My first attempt was already going beyond the 'normal' salt and sugar cure by using a smattering of Sriracha salt. Later attempts threw in maple syrup, Steak Spice and Thai Spice Rub. But last week, I think I may have truly broken through the creative barrier of bacon making. I'm not sure where the idea came from, maybe from the need to look for other sources of sweetness than sugar and maple syrup, maybe because it's one of my favourite new experimental flavours. But it hit me like a bolt: VANILLA BACON!!!!!!! - Stir all ingredients together with a fork and coat meat well with cure. I left it in the fridge for about a week, tossing in a bit more salt and sugar on the last day. When ready for smoking, I washed off the remaining cure, dried the bacon with paper towel, and smoked it for 3 hours with mesquite charcoal and pecan wood chips for smoke. ﻿Now, like any good cook, I had to sample the wares, so I sliced off four small pieces (nice and thick!) and fried them up, put 'em on toast, spread some mayo, took a picture, added some tomato, and lunch was served! The verdict? The boozy, fragrant quality of the vanilla was definitely apparent and totally delicious, if a little understated. I'd have liked it to be more pronounced. Maybe I'll try a combo of curing with salt and sugar, and injecting vanilla right into the meat (still need to get into that whole 'injecting' style of prepping meat for smoking). The spicy element of the berbere really didn't come through very well, I'll use more next time. But, it's still tasty, tasty, TASTY bacon! How much more fun will I engage in as part of my explorations into unique forms of bacon? I will definitely keep you posted! So, I was thinking about burgers, as one is wont to do when they're not a weirdo, and I thought I'd write a little post about them. And then the ideas started coming about all the different facets about this ubiquitous food item and I realized there was way more than just one post worth of writing on the subject. So, I'll write three! This first post will deal with the basics of making burgers, the second will deal with where one can find a good burger in Ottawa (and elsewhere), and the third will deal with how the hamburger can become the canvas upon which one creates the ridiculous and the insane. Ah, the noble hamburger... Next to booze, it's the second most important cause of, and solution to, all of life's problems. Scourge of vegetarians, foundation of the modern food economy and inspiration for an 80s video game (hence the title), hamburgers are pretty much the most common prepared food item in North America. And this has had some serious consequences on how we see food. But that doesn't mean I don't love me a good burger! Seriously, there's nothing that conjures up the "sensual profile" of Summer more than a burger hot off the grill at a family BBQ, dripping juice and condiments down your arm. The main difference between this kind of burger and the McHockeyPuck burger is, of course, love. Well, that and making the burger as it should be: thick and with very little filler. Now, making a burger that thrills and isn't just a vehicle for bacon, cheese, BBQ sauce and mayo is not an easy feat. First of all, ground beef can be a little bland and can get really dry if overcooked or too lean. I try to stick with using either medium or lean ground beef when making burgers, extra-lean just makes for a dry crumbly patty. So keep the right kind of ground beef in mind, low-fat diet be damned! You also need to season your burger. I know purists out there will say that all you need to make a good burger patty is some salt and pepper. I respectfully disagree. 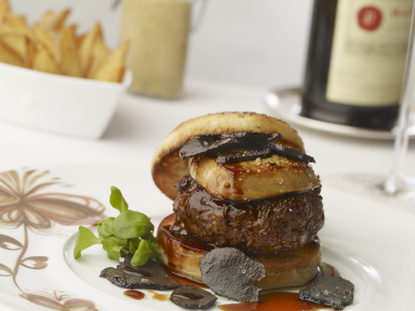 A burger worth remembering for itself will have something unique about it. I usually throw in salt and pepper, a little minced fresh garlic (about a teaspoon per pound of meat) and some Montreal Steak Spice. Some people add eggs, some people swear by dry onion soup mix. It's really a matter of taste. So, what's the basic process for making a burger patty? Throw your meat in a large bowl, add your seasoning, mix everything well with your hands (wear gloves if you're squeamish about touching raw meat, because there's really no way to make a patty without using your hands), roll into a ball, and flatten into the desired shape and thickness. Now, it should be noted that the burger recipe book I'll be discussing shortly recommends pressing your thumb lightly (1 centimetre deep) into the middle of the patty to ensure even cooking. Depending on how ready you are to cook the burgers, put the patties in the fridge until ready to cook or throw them on the fire right away! Now, I'm not sure if there's anyone out there who believes that a fried burger is better than a grilled one, but if there is... SMACK! What the hell, dude???? 'fried is better than grilled'... Jeeeeeeeeez... But, in situations where grilling isn't possible (which should be rare; if you don't have access to an outside grill, you can always use one of those electric "George Foreman"-style grills), I recommend frying the burger in a cast iron pan. So, what's the best way to cook a burger? Well first, you want high heat on your grill, somewhere around 400 degrees. Essentially, you want to grill the burger for about 7-8 minutes per side, making sure it's not pink in the middle (unless you like medium rare burgers, which need about 5 minutes, but to me that's asking for a tummy ache). Try to flip or otherwise manipulate the burger as little as possible. The more you play with your meat, the more juice you'll lose... aaaaand now I have the sense of humour of a 12-year old... Usually once the burgers are cooked, I set them aside on a cooler part of the grill to keep warm, then heat and slightly toast the buns over the grill. That's about it. What comes next is whatever you feel like topping them with. I'm usually happy with BBQ sauce and mayo, maybe a pickle and some tomato, but there's no end to the toppings you can choose. When you're getting a bit bored of the "tried and true" burger seasoning you've always used, it helps to look elsewhere for inspiration when your culinary muscles aren't flexing as well as they should. With this in mind, we turn to a little gem of a cookbook I was able to procure last year for 5 dollars. Sally Sampson's Recipe of the Week: Burgers is pretty much what the title says: 52 different burger recipes. I've made a few of them and they all turned out pretty well, mostly because I stuck with the simpler ones, I'll wager. Damn useful resource for 5 bucks! Here are a couple of the recipes from the book, simplified for the sake of bloggish simplicity. First there's a basic burger with just a few alterations, namely the inclusion of chipotle peppers. I pretty much followed this recipe to the letter. Makes 4 burgers, about 1/3 pound each. For smaller burgers (1/4 pound), use less meat! - Place beef, garlic, scallions and chipotle in a large bowl and mix well with hands, and form into 3/4 inch thick patties, making an indentation as described earlier. - Season patties with salt and pepper and grill or fry as indicate earlier. - Serve on warmed buns with lime wedges. One of the first recipes we tried and it worked great! Next, there's the recipe pictured above, which omits the use of buns altogether, instead using lettuce as the delivery mechanism for meaty goodness. I'm presenting the version I actually made, but the basic inspiration is still from Ms. Sampson's book. - Mix all ingredients except salt in a large bowl with hands and form into 3/4 inch thick patties, making an indentation as described earlier. - Season patties with salt and grill or fry as indicated earlier. - Serve each patty on a leaf of lettuce. Alright, so that's part one of our exploration of the noble hamburger. Next, we take to the streets in search of the best burgers made by other people, from the lowly "value menu" to some more high-end fare. 'Til then, NOM THAT BURG! People all have their personal favourites when it comes to flavour profiles. For some, it's the sour tang of a dill pickle, or the salty richness of cheese curds, or the clean sweetness of a really good vanilla ice cream. For Kari, one of them is the always popular Thai-style Satay chicken with peanut sauce. Satay basically means meat on a skewer, rather than the peanut sauce itself (which is something wikipedia JUST taught me). But due to the popularity of the sauce that goes with the meat-on-a-stick, it's generally just called Satay. Anyhoo, it was my night to cook and Kari wanted the Satay Chicken w. Peanut Sauce goodness. Easy enough, right? Well, as it turns out, there is almost never an exact universal version of some recipes or standards in the food biz. Maybe basic poutine (fries, curds, gravy), but not much else. And God help you if you try to find THE authentic recipe for something, because every household, from Vietnam to Vermont, has "THEIR" version of the local standard and while they all have similarities, none are usually the same. So, finding the "authentic" version of anything can be a snipe hunt. And this is why I personally scoff at the notion of "authentic" cuisine. Frak authentic, give me TASTY!!! Perfect example: I was talking to a buddy about BBQ in Ottawa and how it compares to his buddy's in Georgia. And, as it turns out, the "authentic" Georgian way is little seasoning on the meat, all flavour comes from an array of BBQ sauces (which is completely different from the other BBQ styles that I tend to emulate, but you get my point). If I personally think I can make something better than the "authentic" version, I'm gonna give tradition the two-fingered salute and forge ahead. In the case of BBQ, make both rub and sauce as flavourful and complimentary as possible and you can't go wrong. Another example: a colleague of Mexican descent once lamented to me about the use of tomatoes in guacamole being "blasphemous", which I think is ridiculous. Tomatoes are delicious and compliment avocado perfectly! So, all this to say, when I started looking at different recipes for the "traditional" peanut sauce, I figured the only way to go was make it my own and *approximate* the flavour profile as best I could. This, to me, is pretty much the essence of good cooking and the greatest challenge. It isn't a recipe that's going to make something taste the way it "should", it's your palette as a cook. If it's supposed to taste bland or safe or who-knows-what, then change it! - 1 lb. (1/2 kg) skinless, boneless chicken. I go with chicken thighs usually, mainly because they have more flavour and are much cheaper than breast. - Whisk all ingredients together. Place chicken in a zipper bag with marinade and toss to ensure marinade covers all the chicken. Let sit in the fridge for at least 1 hour. - Preheat the grill to medium-high heat. - Grill chicken for about 6-8 minutes per side, turning once, until cooked through. Cooking time depends on the thickness of the meat. If you're cooking a large breast, it'll take longer. - Whisk ingredients together in non-reactive bowl and let sit in fridge while you make the Slaw. - Mix ingredients in a large bowl. Stir in Dressing and serve. And there's one man's approximation of a Thai feast! And you'll notice nowhere is there a dipping sauce! Crazy!